These following methods will improve the quality of your skin in just a few minutes. You could use either one of them, but the result will be the same: no more redness and inflammation, no more blackheads and acne, no more dead skin cells and open pores. Just an exfoliated and spotless skin. Baking soda is one of the cheapest and most effective remedies for skin problems. Unlike the cosmetic products that are filled with chemicals, baking soda is natural and doesn’t dry up your skin. 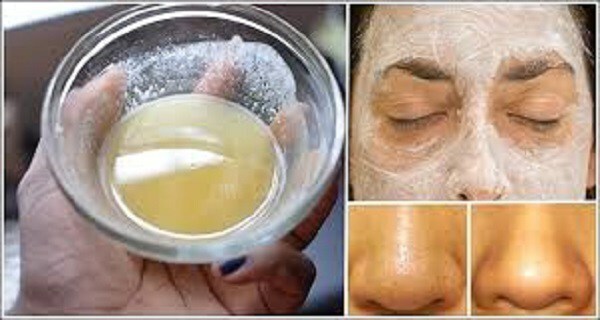 On the contrary, it eliminates acne and blackheads without irritating the skin, making it clean and smooth. Mix some baking soda with warm water until you get a firm paste. First, you need to dampen your face with warm water, then apply the paste on your entire face. Massage your face with gentle circular movements for a few minutes then rinse it off with warm water. To make this paste you will need to mix baking soda with water first, then add the ground oats (about 1/6 of the amount of the baking soda-water mixture). The method of applying is the same as before – massage your wet face with gentle circular movements for a few minutes before rinsing with warm water. Besides for exfoliation, this method is also great for removing dark circles under your eyes. Just be careful not to touch your eyes with it! This method is extremely beneficial when it comes to removing red spots and improving your skin tone. Take a cup and put 2 tablespoons of soda and 2 tablespoons of granulated brown sugar in it. Then fill 1/4 of the cup with lemon juice. Mix until you get a nice, firm paste, then apply it on your slightly wet face and let it set for 10 minutes. Rinse with lukewarm water afterwards. If you have dry skin that needs moisturizing, then this method will work best for you. Mix equal amounts of baking soda with coconut oil (put more coconut oil if you have sensitive skin) and apply the mixture on your face. Let it set for a couple minutes before washing your face with warm water.